Flyaway skydiving simulator. 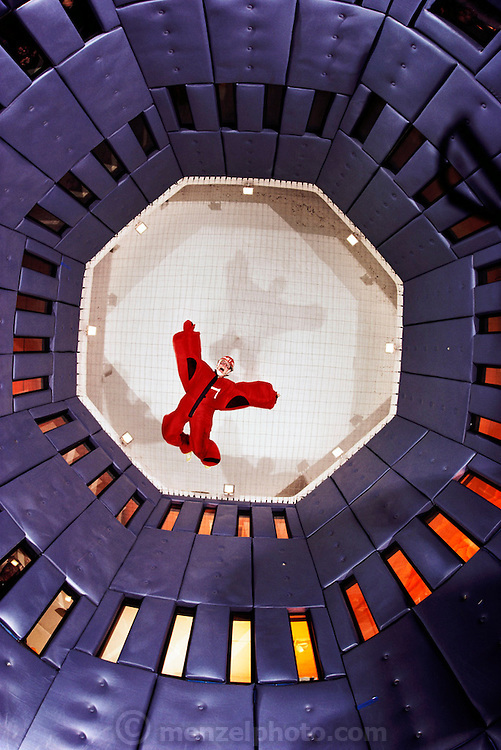 A vertical wind tunnel propels a 'flyer' into the air, simulating free flight. Las Vegas. USA.